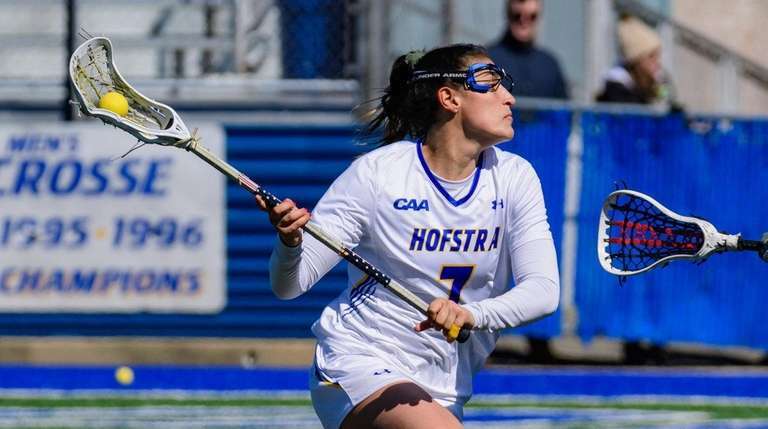 The Hofstra women’s lacrosse team gave defending national champion James Madison all it could handle Sunday. The Pride challenged James Madison throughout, but fell, 9-8, in double overtime at Shuart Stadium in a Colonial Athletic Association game. Maddy McDaniel scored off an assist from Hanna Haven with 3:05 remaining in the second overtime period to give James Madison the victory. James Madison (12-3, 4-0 CAA) opened a 3-0 lead a little more than 10 minutes into the game, and took a 4-3 advantage into halftime. Hofstra (9-5, 2-1 CAA) scored four of the first five goals in the second half, taking an 7-5 lead with 15:14 remaining. James Madison then scored the game’s next three goals, taking an 8-7 lead with 4:04 remaining. Hofstra's Arianna Esposito scored off a free position shot with 26 seconds remaining in regulation, tying the score at 8 and forcing overtime. Alyssa Parrella had two goals and an assist and Amanda Guerra and Esposito each added two goals for Hofstra. 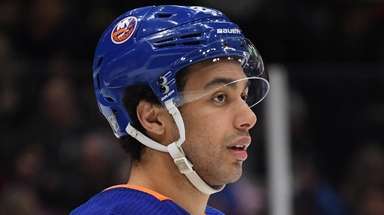 Haven led James Madison with two goals and three assists. The Pride put more shots on goal, 24 to 18, and also had nine caused turnovers compared to James Madison’s three and 12 draw controls compared to James Madison’s nine. Jess Smith had nine saves for Hofstra.